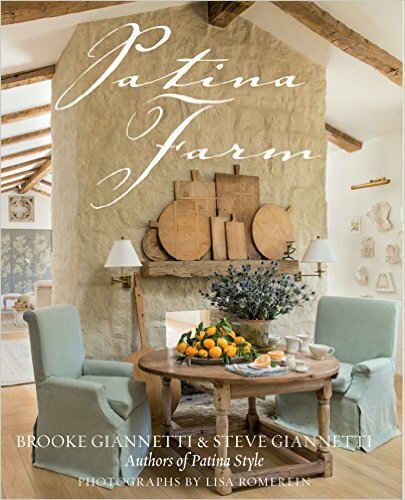 I love the look patina gives in home decor so I was so excited to see the recently released book Patina Farm by Brooke and Steve Giannetti. 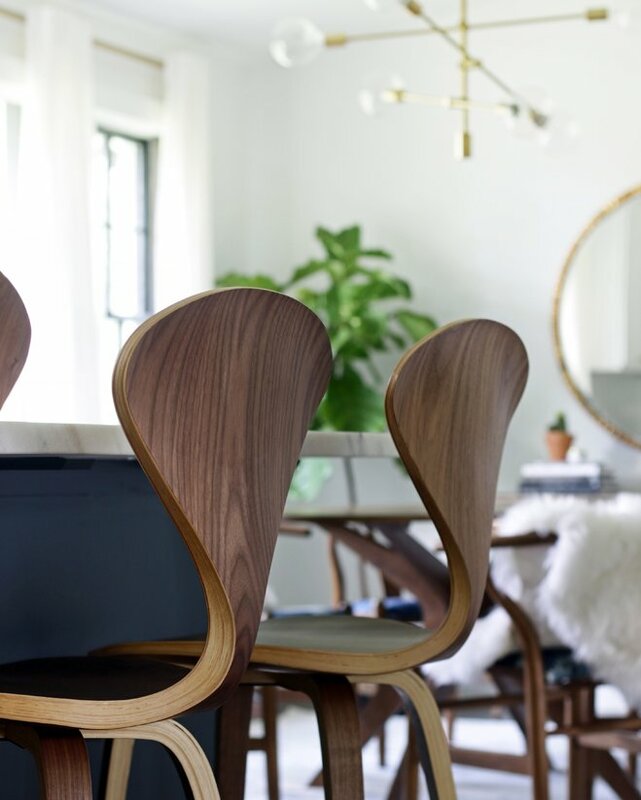 Brooke is an interior designer and writer of one of my favorite design blogs Velvet and Linen, and her husband Steve Giannetti is a renowned architect. 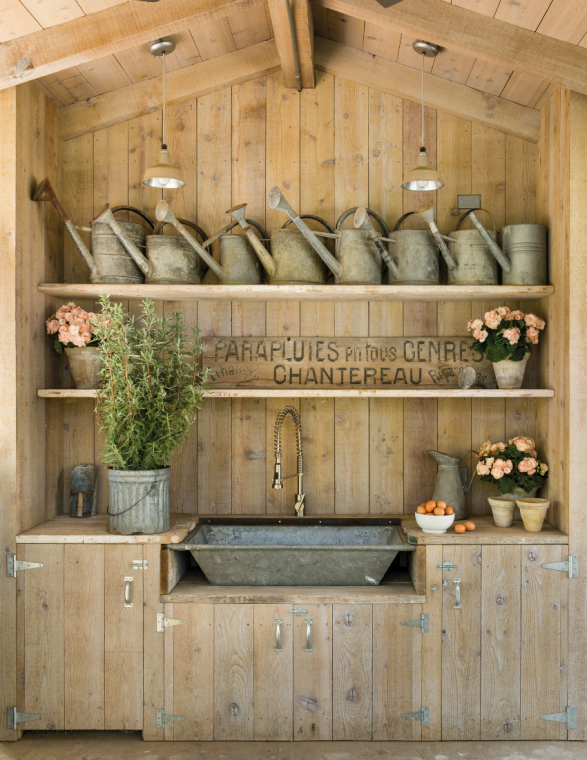 I'm waiting to receive my copy of this beautiful book I just ordered but couldn't wait to share a few images of their French-inspired farmhouse, Patina Farm, located in Ojai, CA. 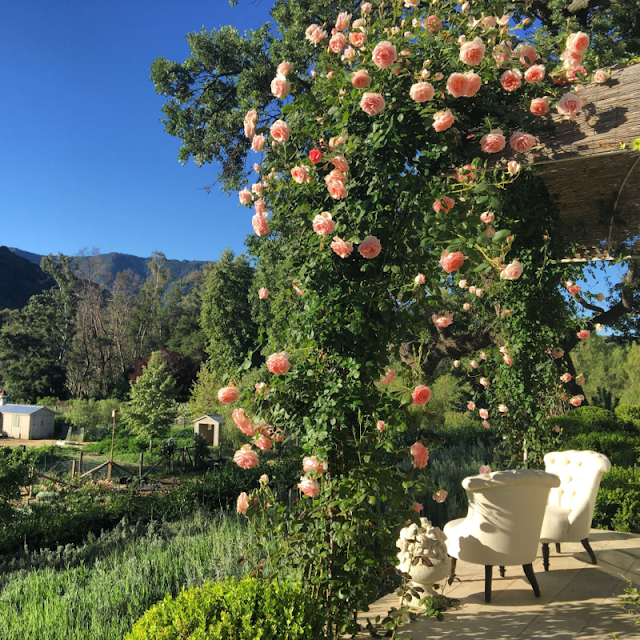 The beautiful rose vine above is a Pearly Gates Rose Vine by their master bedroom. The following images were featured on Home Stories - A to Z. The blog's writer, Beth, was privileged to review the book on her blog. See her review HERE. 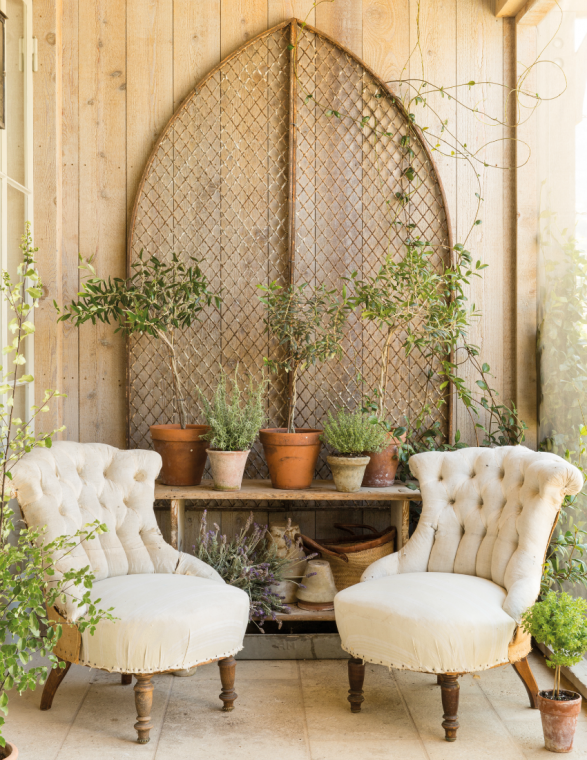 Pairing up patina pots and plants in pleasing compositions look beautiful with the antiques. It looks like it came straight from France. 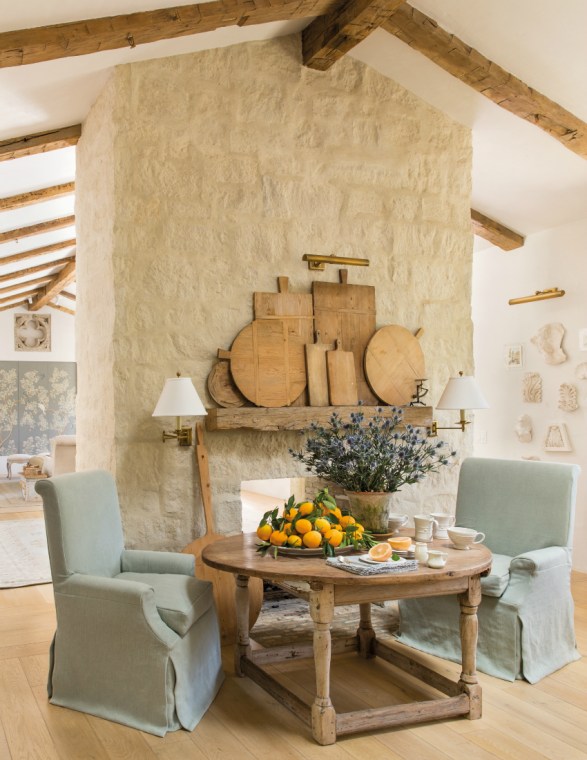 The soft colors, muted patterns, and antiques mixed with new materials used flawlessly throughout the home creates a peaceful, welcoming, and soothing ambiance. 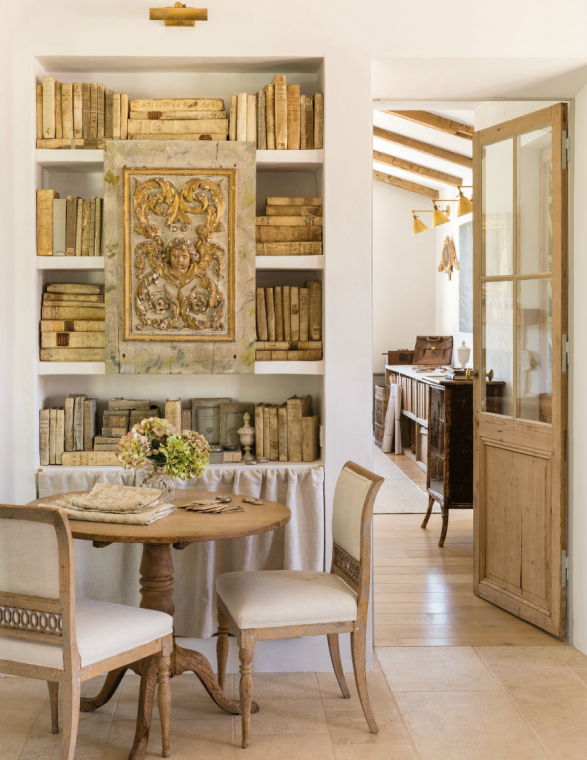 I can't wait to receive my book to learn more about the antiques used throughout their home. Every detail is masterfully placed with such restraint and grace it's inspiring. 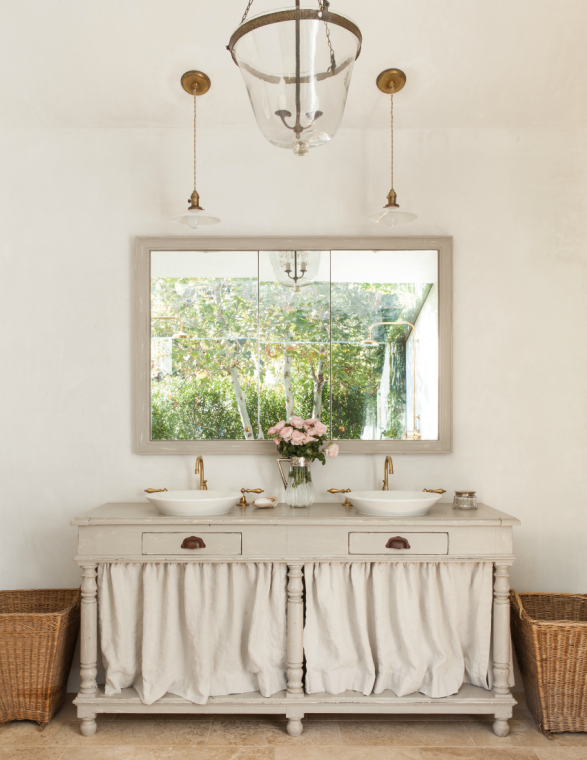 Rich simplicity at its finest. There are so many ideas to glean from this book - I can't wait! If you're interested in checking it out for yourself you'll find it at this link on Amazon.